Buy All-in-one Brother DCP 330c with CISS with CISS and make 30 times more quality prints for the same money! Pay only 0.04 USD for A-4 full color print! We want to present you a new multifunctional device. It is a remarkable creation of Japanese company Brother. This multifunctional printing device involves a printer, a copier, a scanner, and in addition it is a high-performance and compact device. Equipment like this can manage any office work and will make you happy during the whole period of service. The Brother DCP-330C printer attracts the attention of customers, since the time when quality of printing is surely high, and color printing can play back all shades and tones. This model has a color LCD display with backlit, 2-inches diagonal, so now we can look through the photos before printing. You can also make direct printing without connecting printer to PC. This multifunctional device supports many popular digital storages, and due to PictBridge connector, we have an opportunity to print directly from digital cameras, mobile phones and other devices that can be connected by USB to the MFP. Copying function allows you to change the size of the printed document from 25 to 400% in 1% increment, and to avoid the problems of poor color rendering it has the color depth of 36 bits. 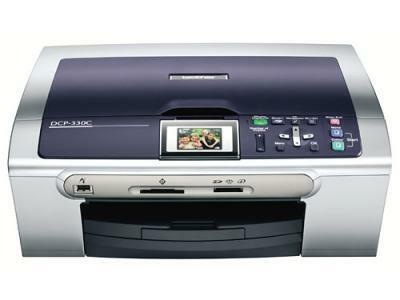 DCP-330C Brother includes an extremely fast scanner, which is able to provide high resolution and full color matching. Scanned documents can be saved directly to a flash card or other media storage devices. Certainly, for a comfortable work we have to think about the economical issues. Thanks to the CISS (continuous ink supply system), you can significantly save on the costs during the device service. The Brother DCP-330c wireless all-in-one inkjet printer is a highly efficient equipment, with 32 MB of the internal memory storage capacity. It can quickly work on even heavy-volume documents. We would also like to attract your attention to the great device Brother DCP-350C and Brother DCP-385C. Like all other inkjet printers, the multifunctional device DCP-330C printer highlights itself by significant costs for expandables. But this problem can be solved by installing the system of continuous ink supply. Every time you spend money on expensive original cartridges and take time to replace them, you can forget about the problem with the savings in 30-40 times for the prints. It is much easier with the CIS system. You have only to refill the tanks when the ink is over, and enjoy the process of printing as long as you wish. 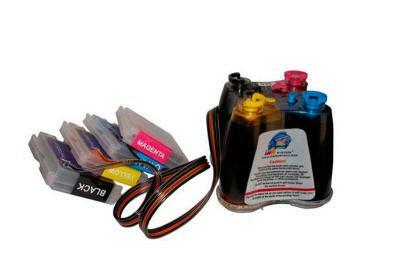 The company INKSYSTEM offers CISS of high-quality for your printer. Installing CISS by INKSYSTEM, you are guaranteed to have reliability and long service of the device. To conclude, we would like to notice that Brother printers DCP-330c deserve admission of customers for performance, quality and easy technical service simultaneously. Nowadays, products of Brother are in demand and quite popular. Office equipment made by Brother receivs positive reviews from all the world. Printers, multifunctional printing devices, and other office equipment can be seen at the technical exhibitions in different cities, such as New-York, Chicago, Florida, San-Francisco, Washington and many others. Minimum Paper Width/Length (Paper Tray) 3.5"/5.0"
Maximum Paper Width/Length (Paper Tray) 8.5" x 14.0"
Unit Dimensions (W"xD"xH") 15.7" x 14.2" x 5.9"